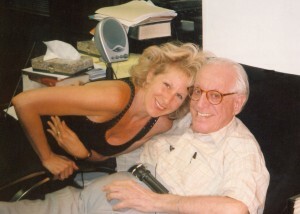 I am the wife of Albert Ellis PhD (1913 – 2007) – the brilliant maverick in the field of psychology whose work heralded in the cognitive revolution in psychotherapy. I am a psychologist and professor at Columbia University – in NYC where I live. I saw with interest your fine story, but felt sad that as time goes along since his passing, many writers and journalists are neglecting to acknowledge my husband’s massive contributions to the field. Below in italics is a brief message I wrote on LinkedIn, after seeing your story (it was posted there by Robin Thorburn, who works and resides in the UK). Marvelous that this approach is being presented to students – but it is not new. The principles described in this BBC news video are almost identical to those taught by Dr Albert Ellis (creator of Rational Emotive Behavior Therapy – the pioneering approach that heralded in the cognitive revolution in psychotherapy). From the 1960’s and onward, he frequently urged teachers to include such ideas into school programs, and to teach students the importance and benefits (i) of thinking about their thinking, (ii) of choosing to think in healthy ways, (iii) of understanding their feelings and knowing how to create healthy emotions, and (iv) of the importance of unconditionally accepting themselves and others. Sadly, as time rolls along, it appears that fewer people are giving credit where credit is due. ​I would be delighted to further set the record straight by communicating with you, if you are interested, either via email, or through a phone conversation, or a Skype conversation.